The Reloop HA-210 b is a hifi amplifier which holds a diverse range of applications. 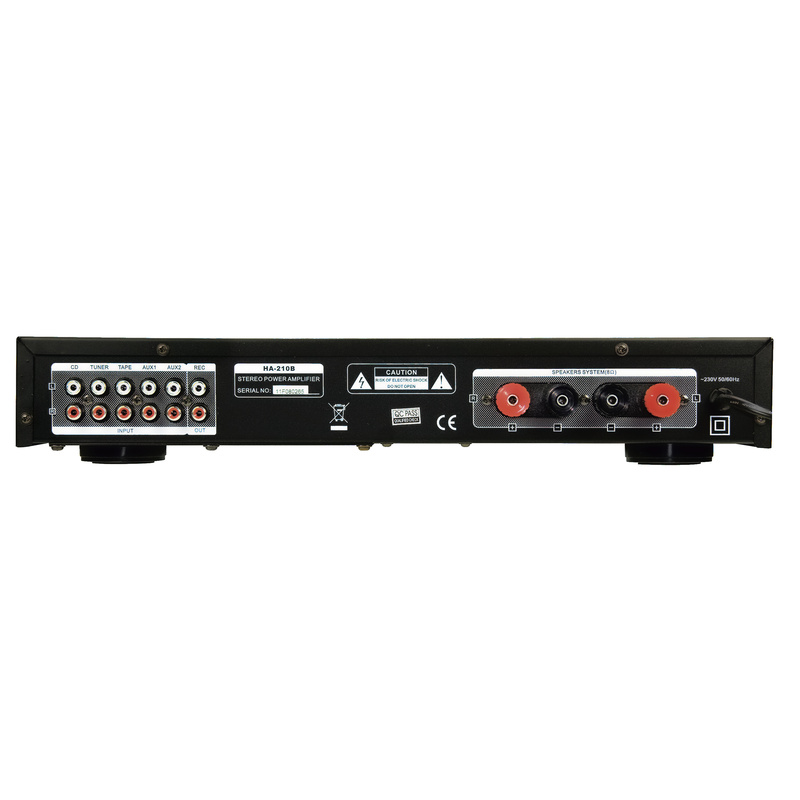 In addition to classic connective options for CD player, tuner and other line sources, two mics can be hooked up to the front - ideal for Karaoke sessions. With the help of the tone switch which completely avoids the equalizer''s switching circuits, thus enabling a completely genuine sound, the HA-210 b can be switched to achieve a crystal clear sound. 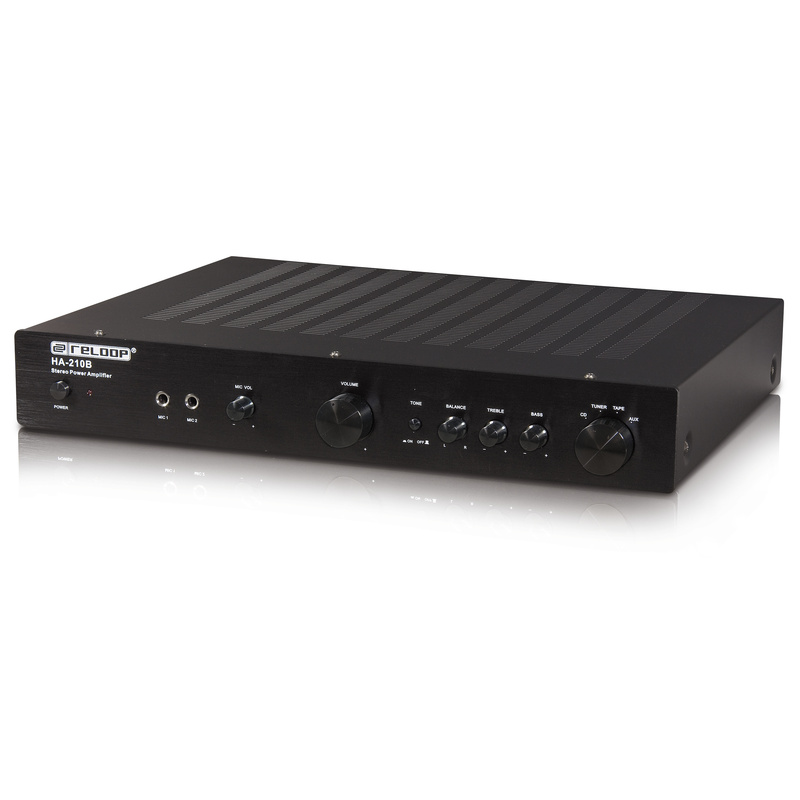 Thanks to its simple, slim housing this amplifier is ideal for home use, in the restaurant trade or the studio.